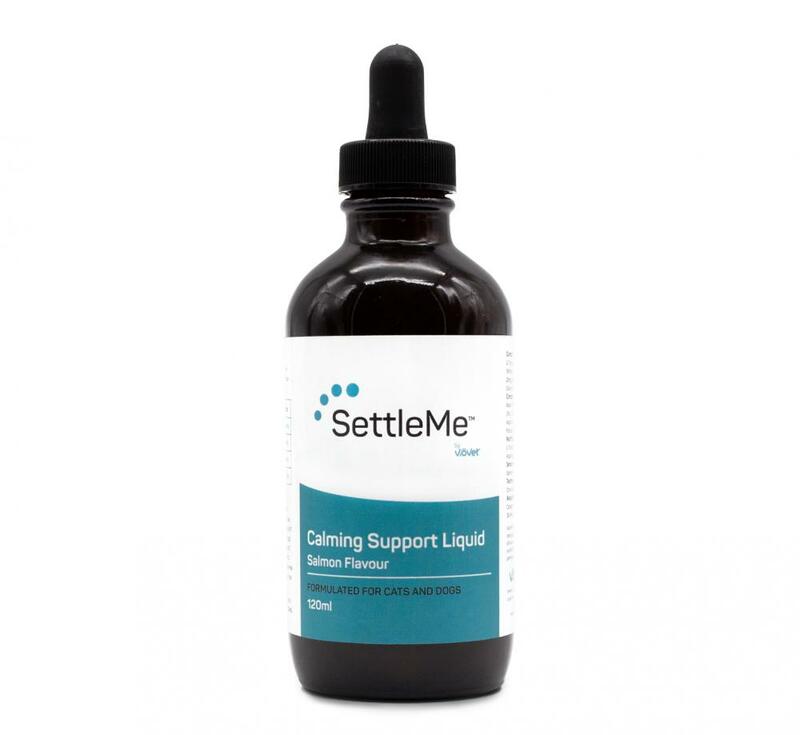 Not all pets will easily take a chew, such as pets with dental issues or felines with a particularly fussy palate, so we launched SettleMe™ Calming Support Liquid with this in mind. It contains a concentrated blend of ingredients believed to be helpful in supporting calm behaviour and in reducing anxiety, stress-related behaviours and over-activity. The tasty salmon flavour and addition of catnip extract makes it a favourite among both cats and dogs, so it’s easy to feed either directly from the enclosed measure dropper or added to food. 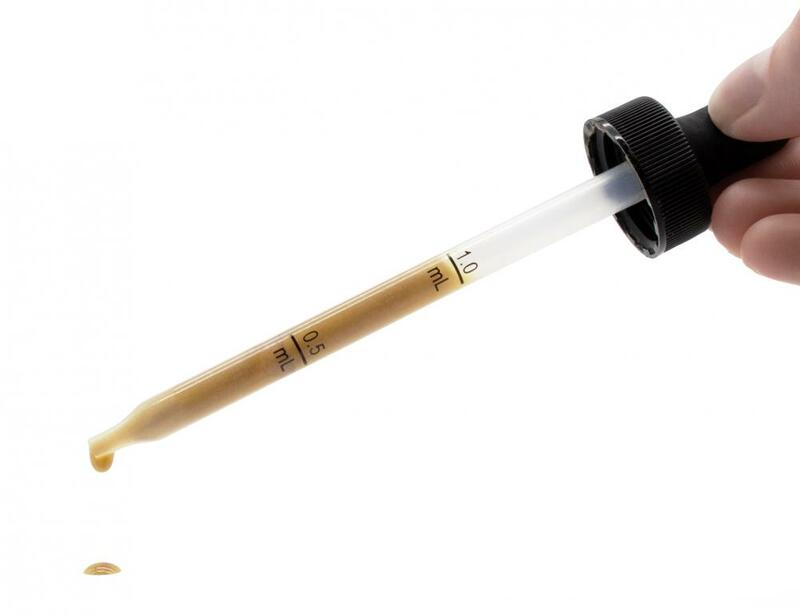 Occasionally, product build up may occur at the end of the measure dropper, if this happens, repeatedly squeeze the bulb fully until dislodged, or soak in warm water. SettleMe™ Calming Support Liquid is a complementary feed supplement designed to aid in the management of anxious cats and dogs. Water, Fructose, Glycerine, L-Tryptophan, Salmon Flavouring (3%), Citric Acid, L-Theanine, Calcium Aspartate, Magnesium Aspartate, Valerian Root Extract, Ashwagandha Extract, Potassium Sorbate, Catnip Extract, Xanthan Gum. Nutritional Additives: L-Tryptophan, L-Theanine, Calcium Aspartate, Magnesium Aspartate, Valerian Root Extract. Technological Additives: Citric Acid, Potassium Sorbate, Xanthan Gum. Analytical Constituents: Carbohydrate 34%, Protein 16%, Fat 7.7%, Fibre 3.1%, Moisture 38.4%, Ash 0.8%. SettleMe™ Calming Support Liquid is a complementary feed supplement for cats and dogs. For oral use only. For animal use only. Consult your veterinary surgeon before using this product if your pet is currently taking CNS depressants, hepatotoxic drugs or for use prior to anesthesia. Keep out of reach of children and animals. If more than the recommended amount is consumed, monitor for signs of digestive upset. In the rare case of an adverse reaction being noticed, cease feeding and seek veterinary advice if symptoms do not improve. 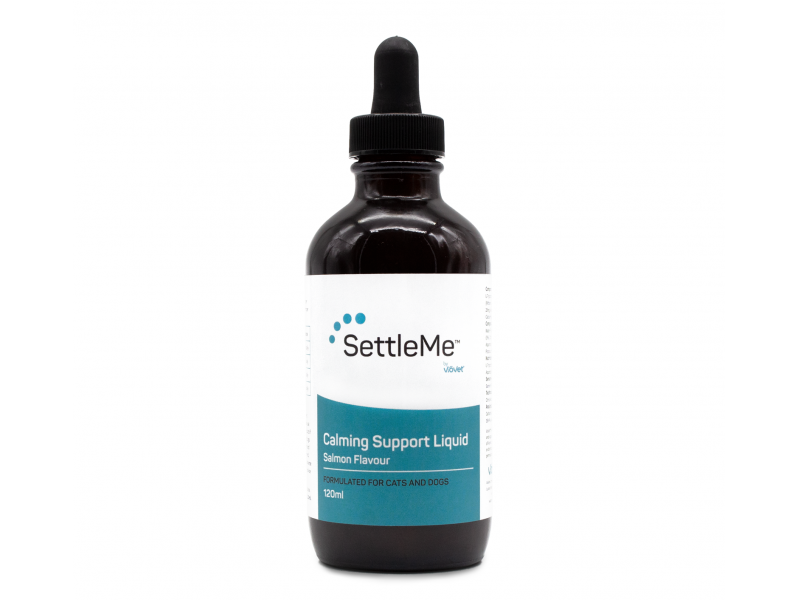 There are currently no questions for SettleMe™ Calming Support Liquid For Cats & Dogs - be the first to ask one!